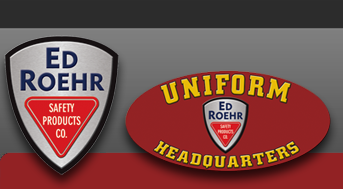 Taylor's Leatherwear - Ed Roehr Safety Products Co. In 1943, Taylor's Leatherwear began with the merging of a tanning company and a leather company. The company was founded in Tullahoma, Tennessee where it still remains today. We specialize in police, military and aviation leather outerwear as well as school letterman jackets. We have been sewing jackets for over 50 years and many of our employees have been with us for more than 20 years. All jackets include our 5 year warranty. We also have a small plant that cleans, reconditions, refurbishes and does repairs on all types of garments as well as preserving wedding gowns. jacket, it’s a Taylor’s. Our leathers have also been worn by actors in many movies and were worn in the old TV show Hill Street Blues. We have also made jackets for people in the music business as well as professional football players and some of the largest corporations in the country. Currently, we are the supplier of jackets for all FedEx pilots and also for Homeland Security, U.S. Customs and Border Patrol. Our strong suit is still police, military and athletics and due to our commitment to quality and making sure the customer is happy, we are one of the few left standing in the U.S.A. that still manufactures leather outerwear. We do not spend a lot of money on flashy websites or fancy brochures and some people would consider us simple, but we make a product that is second to none.